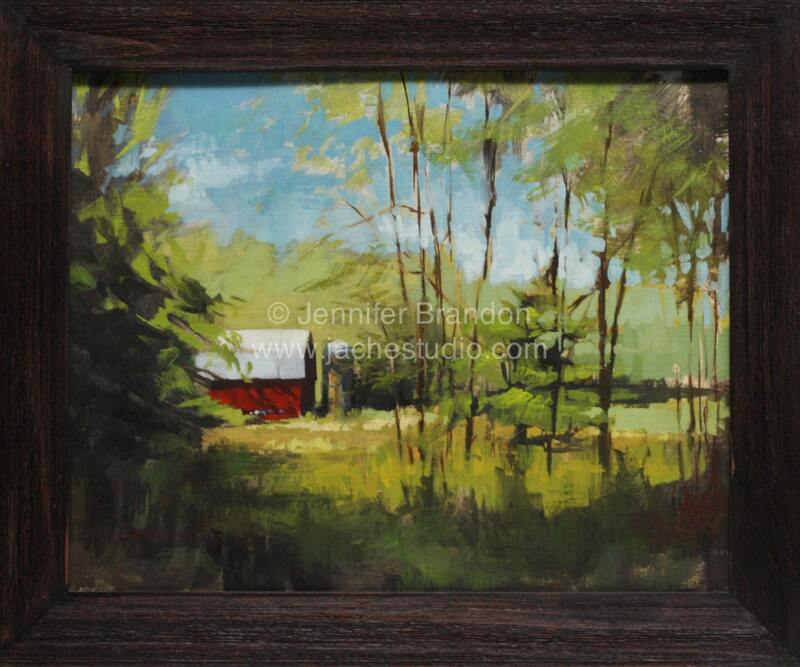 The beautiful Pennsylvania landscape is scattered with beautiful barns and farm-scapes. 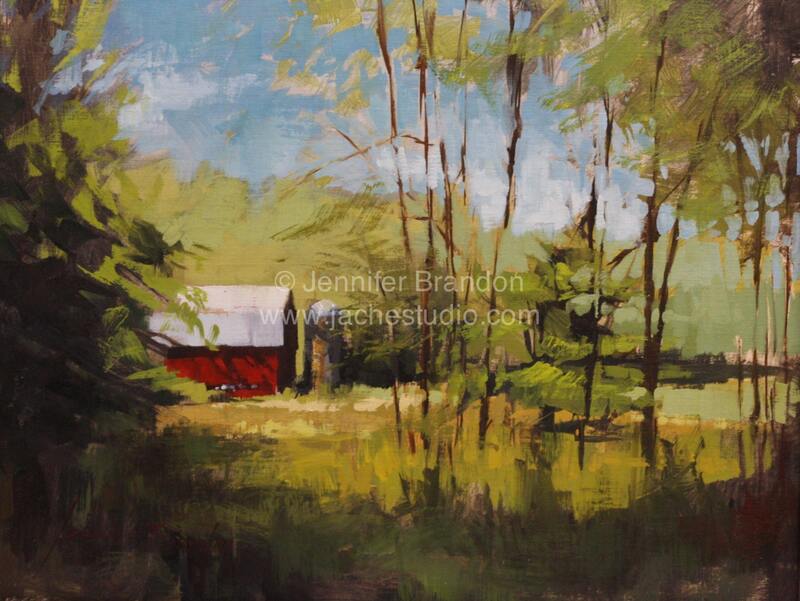 Jennifer Brandon conveys this hidden barn amidst the plush green forest and fields that decorate her surrounding areas. Her paintings express vivid color through playful brushwork, depicting the varied colors and textures of the Pennsylvania landscape.